Just two days after Donald Trump’s stunning upset victory on Election Day, the short lists of prospective Cabinet members for the new administration began turning up in the press. Amid familiar and predictable national GOP figures and business leaders, two men whose highest office to date were in county government stood out—both as prospects to head the Department of Homeland Security. One was the just-ousted former sheriff of Maricopa County, Arizona, Joe Arpaio. 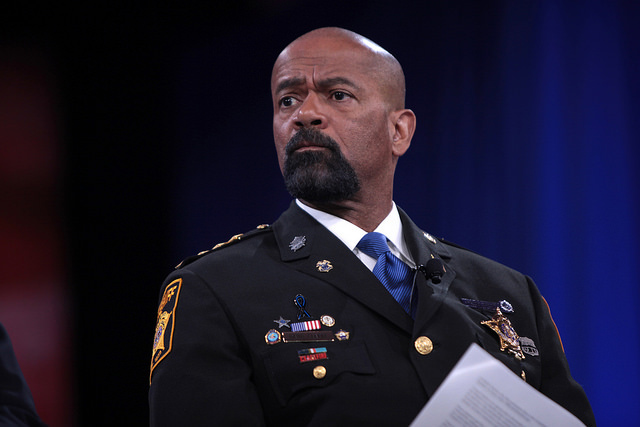 The other was the still-sitting sheriff of Milwaukee County, Wisconsin, David Clarke. . . .